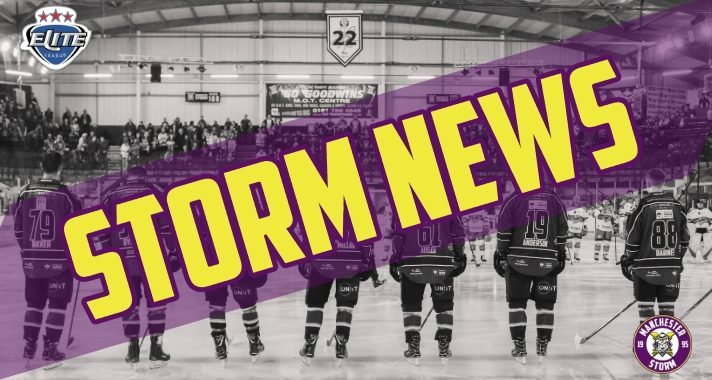 On Tuesday, it was announced that Manchester Storm were selected by Nottingham Panthers to face them in the Challenge Cup Quarter Final next month! The first leg of the quarter final will be taking place on Tuesday December 4th, 7:30pm face-off. The club will be putting on an exclusive offer on tickets at just £10 for adults, students and concessions and £5 for children! The tickets are on sale now! “As soon as this date was arranged, it was a no brainer for us to do a ticket deal. We want to get as many people in that building as possible and doing a ticket offer gives us every chance of achieving this. Please note, this game is not part of the regular season ticket. Season ticket Holders have until the 27th November to reserve their seats by calling the Planet Ice Box Office – 0161 926 8782. The OSC have a Storm Smartphone Quiz event at Cresta Court Hotel, on Sunday 11th November, 4pm-7:15pm. There are limited spaces, email [email protected] to book!